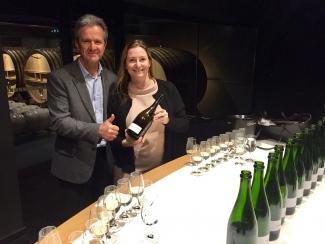 Last but not least, we visited the Champagne Lanson winery with Essi Avellan MW late on Friday afternoon – the final Vins Clairs tasting of our whirlwind tour. 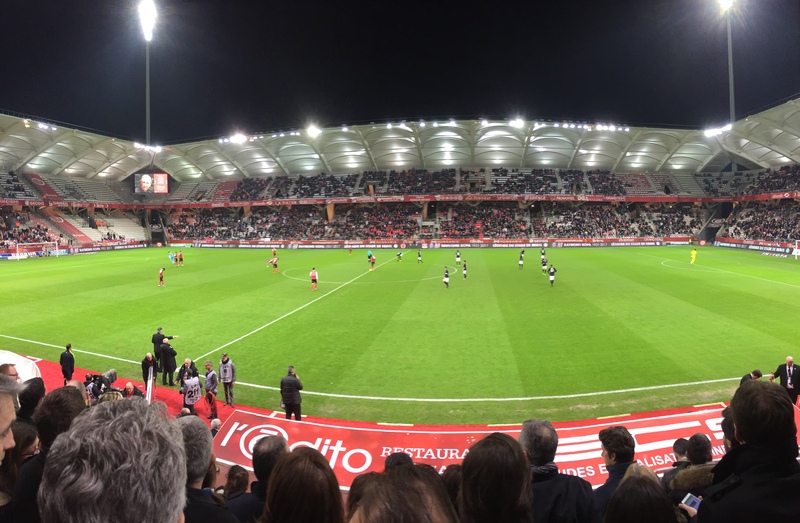 Grand and imposing, the Lanson estate is a spectacular property just south of the Vesle river; a stone’s throw from the largest park in the city and the infamous Stade de Reims arena. With local football fans’ anticipation rising and the spring sunshine falling in perfect synchrony, the atmospheric scene was set for a perfect end to a perfect week. We met with Cellar Master, Hervé Dantan. 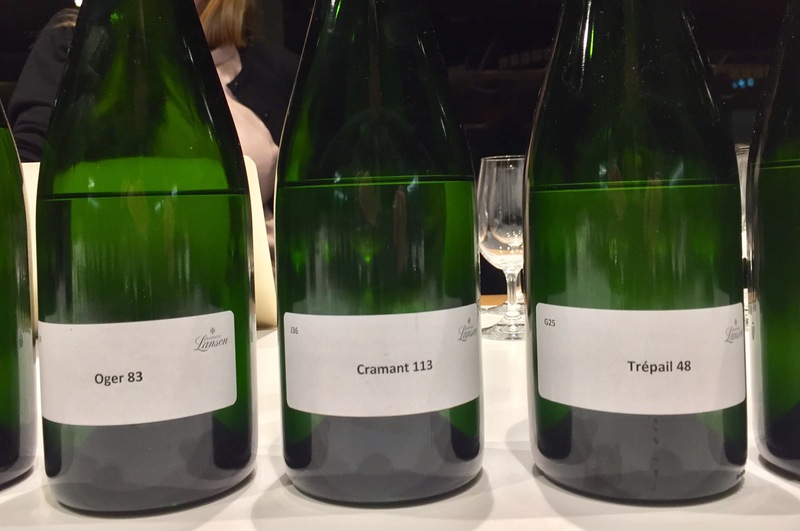 A relative newcomer at Champagne Lanson, he joined the house in 2013 and spent two years shadowing then winemaker Jean-Paul Gandon. 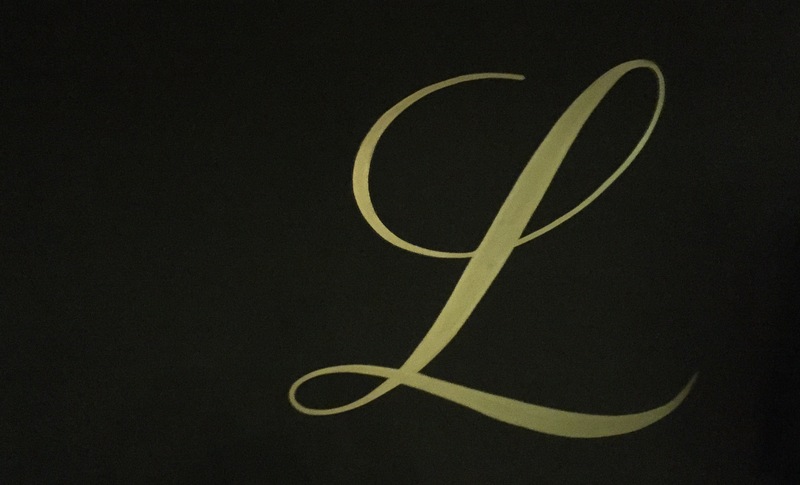 A Lanson veteran with over 40 years experience at the house, Gandon finally stepped down in 2015 after a near 30-year tenure as Chef de Caves, allowing Hervé to assume the prestigious role. A winemaker’s son and an oenology graduate from Reims University; this was Hervé’s destiny. Confident and assured, he has the air of a man who has been surrounded by Champagne from a very young age. 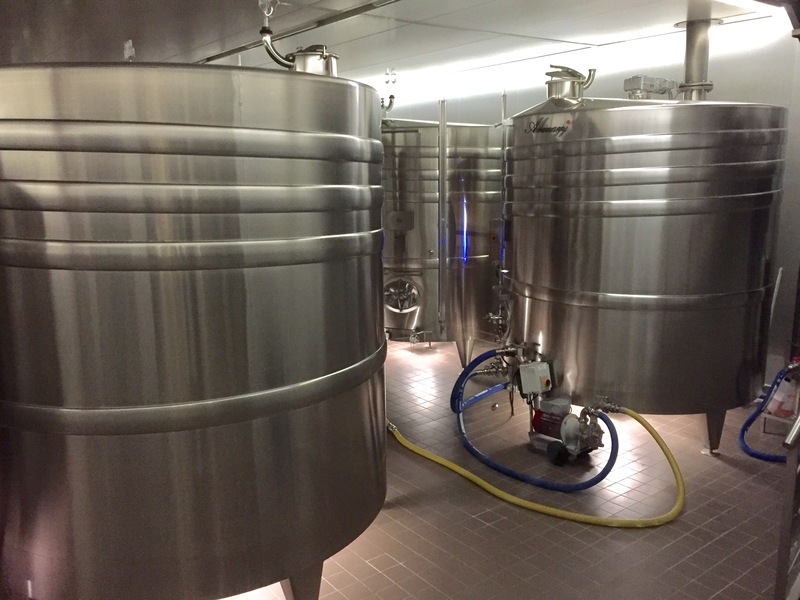 No expense has been spared on Lanson’s new winery. 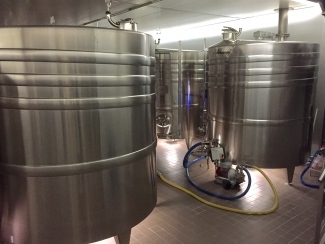 Opened in 2014, an investment of over €15 million has resulted in several winemaking revolutions. Most impressive at first though is the obvious investment in guest experience. In a design reminiscent of Dragon’s Den, to access the tasting room one must enter an elevator with only one destination – at the arrival of which the doors open automatically to reveal a dimly lit room containing nothing but a tastefully illuminated centre-table. 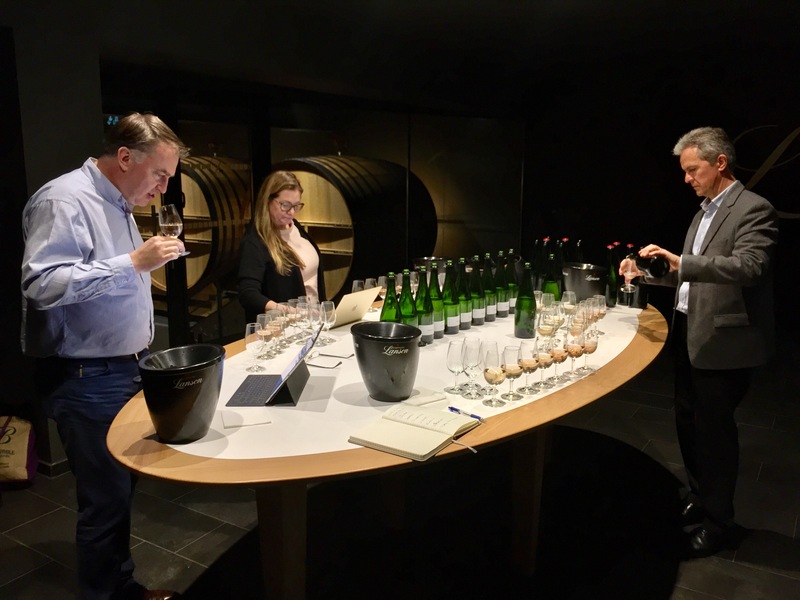 It was here that we sampled Lanson’s 2016 Vins Clairs and a selection of reserve wines with Hervé. 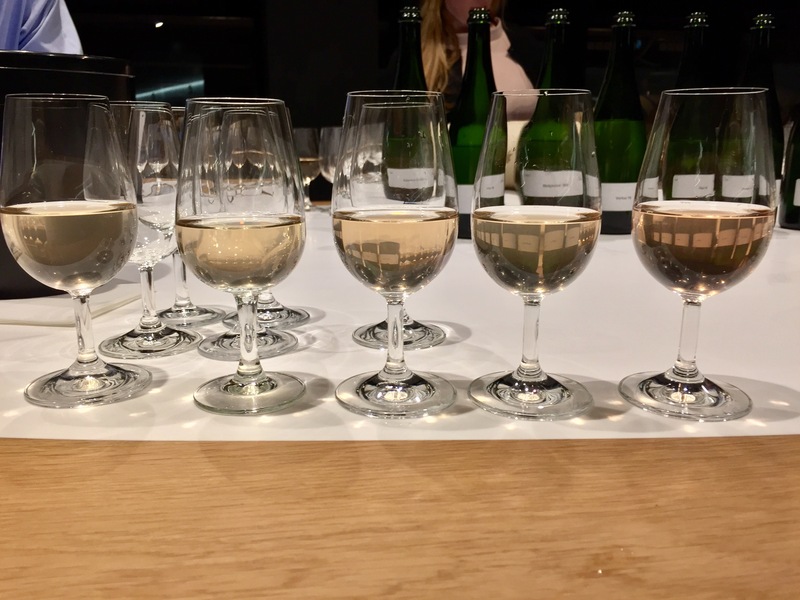 Hervé began our base wine tasting with a thorough review of the 2016 season. “It was an exceptional vintage, but not for its quality,” he began cautiously. Using exceptional as a synonym for unusual rather than outstanding, Hervé was referring to the unique difficulty of the vintage. “I was completely pessimistic in June – we thought it was bad for quality and quantity,” he continued. Showcasing his knowledge of the region’s climactic cycle, Hervé told us that Champagne has an average annual rainfall of 740mm. However in 2016, the region saw >500mm in the fist 6 months, with 370mm falling between April and June alone. This unprecedented summer rainfall coupled with the fatal frost in April precipitated extreme levels of downy mildew and botrytis, destroying a large number of crops. However, fortunes turned during flowering in June. Just when all hope was lost, a spontaneous three-day period of sunshine starting on June 25th “sped the flowering process and saved the season”, according to Hervé. The perfect harvest weather then resulted in a miraculous recovery for the vintage. Comparing the September heat to the 1976 harvest, Hervé was surprised at how the Pinot Noir and Pinot Meunier grapes developed. Maturing in just 83 and 85 days respectively, this process normally takes more than 90 days and was likely accelerated by water stress. “Lots of early rain meant lots of leaves, so when the sun came back perhaps this is why the PN and PM ripened so quick,” he explained. Hervé’s pessimistic July yield estimate of 7,500 kg/hectare transpired to be 9,500 kg/hectare by the end of the harvest. Lanson normally vinify around 250 wines each year. 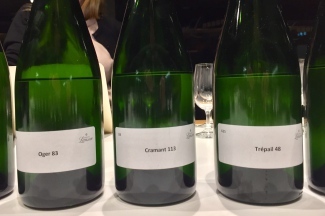 Thankfully Hervé had prepared a somewhat condensed experience of the 2016 vintage – with eight Chardonnay, five Pinot Noir and three Pinot Meunier Vins Clairs for us to sample. Real ripe green apple flavours and good weight of fruit on the palate. Lots of peach and pear notes and loads of acidty. Great mouth-feel. Abundance of green apple and a hint of lemon. Good weight. Big bright fruit, lots of apple and pear flavours in the mouth. Big, forward fruit characteristics, slight taste of lees and some riper tropical fruits. very good wine. Definite favourite of the Chardonnays! Interesting toastiness on the nose and loads of apple here. This has unique strength and salinity. More tropical notes in this one and good weight of fruit in the mouth. After tasting these base wines, we commented that 2016 seemed to be a good Chardonnay year for Lanson and Hervé agreed, adding: “I am happy with the Chardonnay; the quality of flavours is good and there is freshness without bitterness.” However, he had earlier shared his philosophy that “Chardonnay is an easy grape variety, you can plant it wherever – PN and PM not so much.” So perhaps the real challenge for Lanson lies with the black grapes. First taste of this village. Lots of light, bright fruit intensity. Very chalky and delicate, hint of smokiness. Quite muted at present. All black fruits and strawberries. Good power and length. Much more red fruits, strawberries etc. Soft texture and good energy. Bundles of strawberry and raspberry flavour. Nice weight in the middle – very good. Peachy and tropical with a hint of spice. Needs time. The northernmost of all Champagne villages. Good acidity and weight of fruit. Medium length. One of the more subdued Aÿ’s tasted on this trip. Starting to get some peaches but seems a bit thin at present. 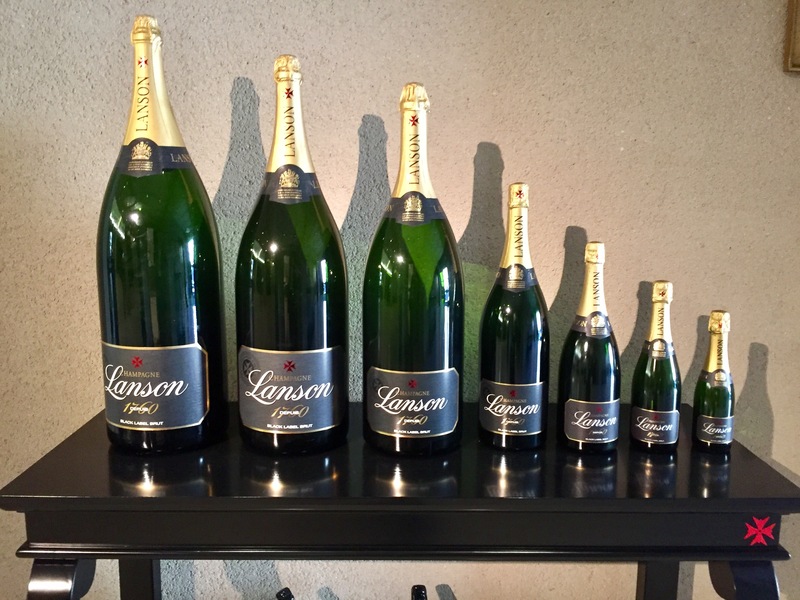 We then tasted an impressive selection of Lanson’s reserve wines, dating back to the 2003 vintage. Quite tight on the nose and loads of apple richness. This is complex and energetic, very structured wine. Lots more smokiness here. Abundance of fruit, hints of peach and pear. Good finish. A toasty nose opens into a surprisingly creamy palate. Packed full of fruit. Elegant and balanced, this is really starting to open up. Good mid-palate and the ripe fruit flavours linger on and on. Villers-Marmery a consistently strong performer on this trip. Loads of richness and toastiness here. Very fresh and a good mouth-feel. Another nice 2013. Quite complex and loads of fruity aromas. Good weight on the palate, the ripe fruit qualities really stand out. Characteristic 2012. Toast abundance on the nose and great weight of fruit in the mouth. Has a delightful hint of pencil shavings on the finish. Very, very good. Very intriguing nose. Mid-palate is a bit thin, but the finish lingers on and on. Very complex. 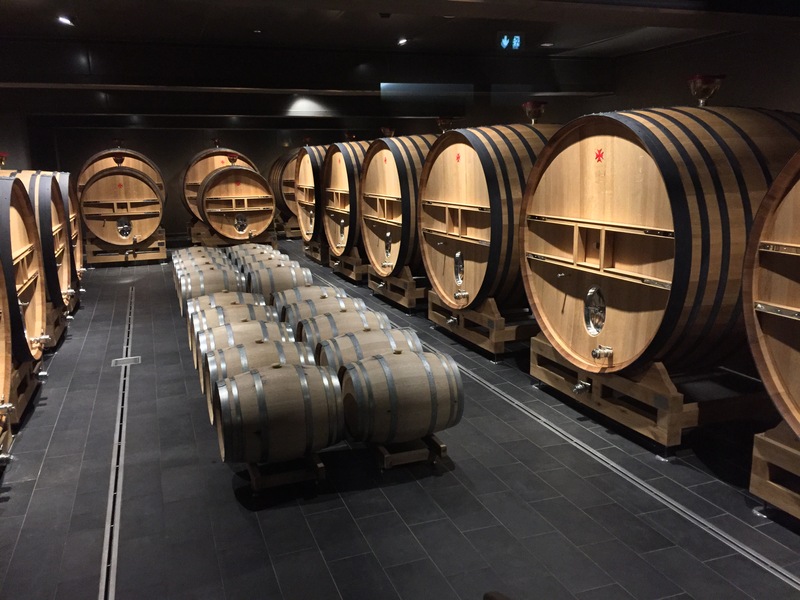 “This is a great year for the 2013 reserve wines,” Hervé told us. When using older reserve wines, he highlighted that winemakers have very small quantities to choose from and is therefore pleased when the younger reserves start to show great development. We thought the power of the Chardonnay from Villers-Marmery 2013 stood out in particular, as did the structured Pinot Noir from Bouzy 2006. Hervé then shared with us the completed blend for Lanson Black Label NV with 2016 as a base vintage. “A blend of three grape varietals, around 100 different crus, 10 different vintages aged for three years, and four months of tastings goes into this Champagne,” Hervé said with obvious pride. 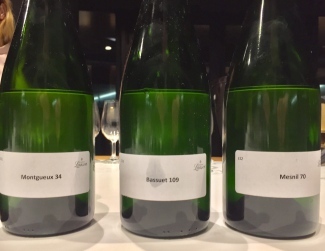 Finished just two weeks before we tasted it (on March 10th), the 2016 expression contains 55% Pinot Noir, 30% Pinot Meunier and 15% Chardonnay – a much lower Chardonnay contribution than the typical 35% seen in previous blends highlights how tough the 2016 vintage was for white grape development. The nose on this blend is very delicate, lots of jasmine and white peach notes. On the palate, it has a really rich creaminess and a round structure that Hervé attributed to the introduction of malolactic fermentation. Historically, Lanson has been a house with a zero tolerance attitude to malolactic fermentation, but a change in philosophy was instigated by Hervé when he took over the reins two years ago. 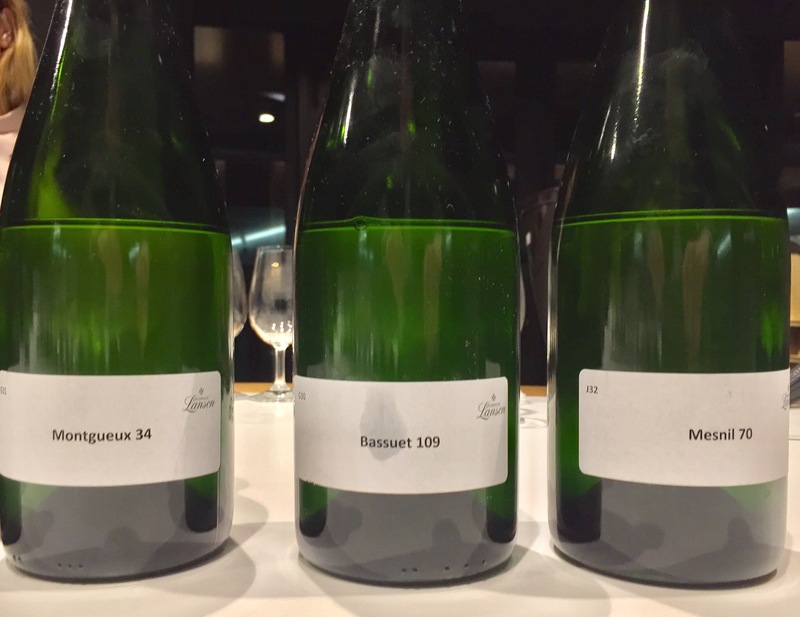 Although Lanson will still expresses the non-malo style, Hervé told us he didn’t want a rigid winemaking approach and allowing the conversion of malic to lactic acid means he can bring more softness and consistency to the blend if necessary. A bold move so early on in his tenure, but one we have to applaud. Just 26% of the wine in this latest blend has completed malolactic fermentation, but it has a roundness and complexity not seen in previous expressions. Bravo! 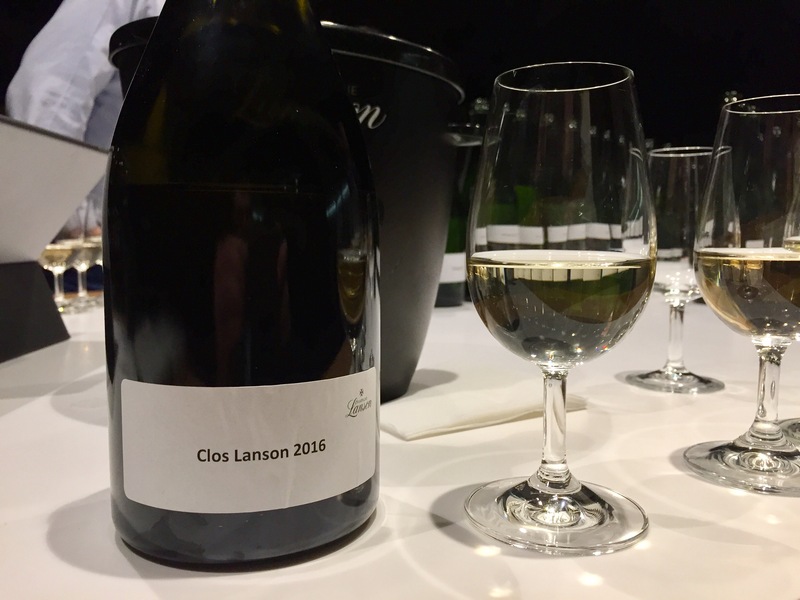 With their first edition of this new single vineyard Champagne – Clos Lanson 2006 – released just last year, this is still a new and exciting concept for the house. When new owners discovered this walled 1-hectare plot in 2006 (read more here), it was inevitable a single vineyard Champagne would be produced. 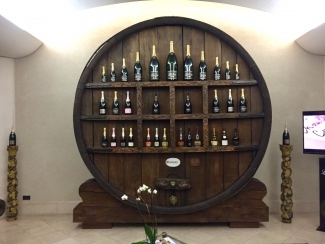 Hervé told us that they will definitely produce a Clos Lanson 2016 and that the idea is to make a vintage every year. Whilst visiting the Maison during last year’s harvest, Essi helped pick the grapes from the Clos Lanson vineyard, so was particularly excited to taste this blend. Drawn from barrel by Hervé just this morning, this first trial of Clos Lanson 2016 is very open, forward and fresh. A slight toastiness on the nose and an abundance of fruit on the palate already, it has peaches and pears galore. Hervé noted that some tannin character has started to show from the oak, so decided he will pull the wine out of the barrel next week. To conclude our tasting and show how Lanson ages, Hervé opened a magnum of Lanson Noble Cuvée 1998. Another perfect exhibit of the supremacy of an older vintage of Champagne from magnum, this was pronounced, lean and delicately balanced. A powerhouse vintage, all the ripe, seductive green fruit characteristics were there. The palate had layers of complexity and elegant depth that lingered forever. This should be beginning to mature, but is still keeping effortlessly youthful in magnum. We really cannot exaggerate enough – if you want to enjoy Champagne that is 15 years or older, magnum or jeroboam is the better option by far. Altogether, another sensational tasting in our favourite French city. New wooden vats for extra “creaminess and roundness”, thirty-five new stainless steel tanks, the introduction of malolactic fermentation, the release of “secret garden” Clos Lanson Champagne and an innovative new Chef de Caves at the helm – the second-half of this decade has heralded immense transformation at Champagne Lanson. If the Vins Clairs we tasted offer a fair representation of the vintage, then 2016 is set to be another year of success to add to the house’s decorated 257-year history.